We appreciate not everyone has the time, the money or the inclination to spend several hours at a stretch in a training room. 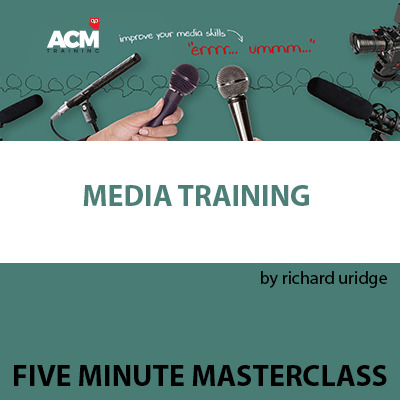 That’s why we’re pleased to announce the launch of our new and totally free Five Minute Masterclass series - a growing range of videos, podcasts and written guides, all with one simple objective: to pack a lot of learning into a short space of time. The idea is you can watch, listen, read and learn wherever you are, whenever you like, via your smartphone, tablet, laptop or PC. Our aim is to add a new masterclass every week so bookmark this page and come back often or better still join our mailing list to receive alerts about new classes straight into your inbox. Eleven crisis communications lessons from the mobile phone company's data outage. Your browser does not support HTML5 audio, but you can still download the masterclass. The best composers know how to use tempo, tone and volume to make music more than just a load of notes. 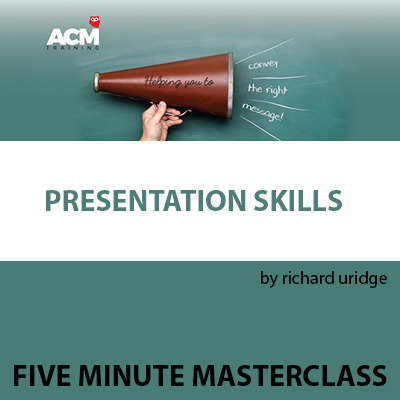 In this masterclass our presentation skills coach, Richard Uridge, explains how you should orchestrate your presentations in a similar fashion to make them more than just a load of words. With a little help from Wolfgang Amadeus Mozart, Richard discusses the concept of musicology. What the well-publicised spat between the Defence Secretary, Gavin Williamson, and the stand in Good Morning Britain presenter, Richard Madeley, tells us about the best - and worst - ways of handling adversarial media interviews. Williamson wanted to talk about deploying Brtish troops to Malawi to help protect endangered wildlife. What he ended up talking about was altogether different! So was the failure his, for failing to sieze control of the two way? Or Madeley's for asking the wrong kind of questions? And what tactics might we all deploy faced with similarly challenging circumstances? ACM's lead media trainer, Richard Uridge, deconstructs the exchange. Answering a journalist's question is all very well when it's a helpful question. But if it's unhelpful, unanswerable or unwelcome responding is often better than actually answering. Providing you don't sound evasive, ignorant or both. 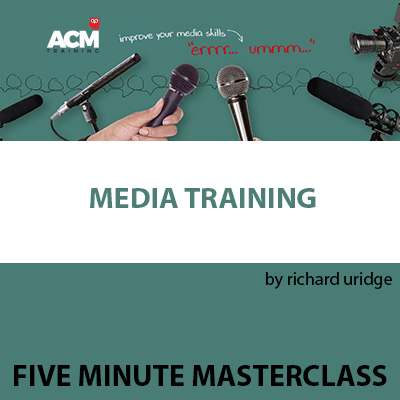 So in this masterclass our lead media trainer, Richard Uridge, show you how to switch your interviews from a question and answer template to a question and response approach. How to hook your audience at the start of your presentation by zooming in on a detail. It’s better, says our presentation skills coach, Richard Uridge, than overwhelming them with the “big picture.” Or boring them with something that looks and sounds the same as every other presentation they’ve ever seen. A ten point plan for dealing with nerves whether you're giving a presentation or being interviewed (or giving a speech at your best friend's wedding for that matter)!